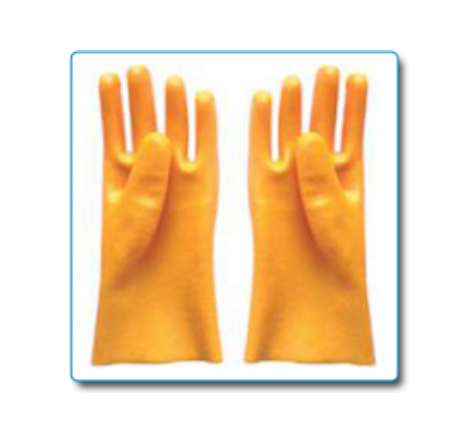 We are one of the reputed suppliers and traders of PVC Dipped Cotton Supported Gloves. These are manufactured using quality basic material and are offered with PVC dipped cotton support for better gripping of the substance. Available in customized solutions to meet clients requirements, these are offered at industry leading prices. Features : Inside Cotton Lining Oil and Liquid Handling. Safety is the state of being "safe" (from French sauf), the condition of being protected against physical, social, spiritual, financial, political, emotional, occupational, psychological, educational or other types or consequences of failure, damage, error, accidents, harm or any other event which could be considered non-desirable. Safety can also be defined to be the control of recognized hazards to achieve an acceptable level of risk. This can take the form of being protected from the event or from exposure to something that causes health or economical losses. It can include protection of people or of possessions. Excel Source understands the literal meaning of “Being Safe” and opens up the entire range of Safety products for “Safe Living”. We do believe in giving the best to the people who are giving their best to the companies they are working with. All our products are CE EU Certified adhering to the safety norms accepted to international standards.